1939 Barrington Court Rochester Hills, MI. 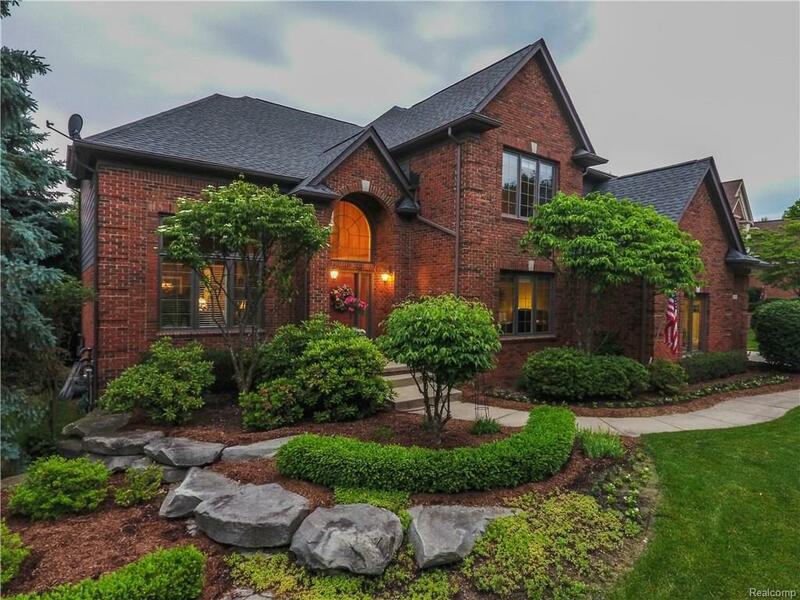 | MLS# 218056463 | The premier resource for all real estate information and services in Metro Detroit. Impeccable Vintage Estates Colonial is move in ready! On cul-de-sac, brick exterior w/ professional landscaping. Soaring ceilings, warm neutral tones, newly refinished HRDWD floors & curved staircase in foyer. Formal living/dining rooms are accented w/ custom plantation shutters & molding. Kitchen offers gourmet prep island, electric cooktop, double oven, stainless steel refrigerator, large pantry, wine rack, and breakfast nook w/ serving center. Pine Tree lighting throughout home. Two-story Great Room w/ new carpeting, expansive windows, 2nd staircase & gas fireplace. Master Suite has walk-in closet w/ California style built-ins, dual vanities, jetted tub & separate shower. Additional private en suite & spacious bedrooms. Entertainers basement has it ALL! Custom wet bar, home theatre with Bose sound, projector/screen, rec room w/ pool table, full bath, home gym & stairs to garage. Private paver stone patio wired for hot tub. Updates include: Roof '15, Furnace/AC '16 & Custom Deck ‘17.